HUNT FOR THE WILDERPEOPLE is a New Zealand adventure dramedy that contains a central premise that has been literally done to death in countless coming-of-age/on-the-run films before. We get the rebellious, troubled and unloved teenager that's paired with a cantankerous old coot that despises being in the presence of children, but despite their seemingly insurmountable odds with one another, they grow to like and appreciate each other's respective company and mature as a result. Ultimately, it's a story about two odd couple misfits that discover their growing bond as a positive catalyst for growth and change. On paper, very little in HUNT FOR THE WILDERPEOPLE is refreshingly novel in the slightest. Yet, the film's highly deceptive in the manner that it slyly defies all genre labeling and pushes the boundaries of conventions and our very expectations of these kind of stories. 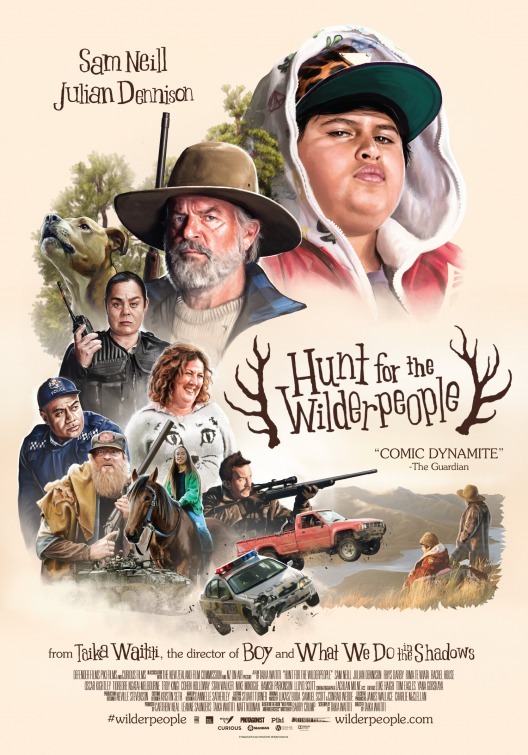 Directed with great inviting warmth by Taika Waititi, HUNT FOR THE WILDERPEOPLE coasts by smoothly based on its impeccably assembled cast and their spirited interplay, not to mention that he grounds his film through and through with credibly defined characters that engage in witty and frequently hysterical dialogue that provides the proceedings with ample color. That, and Waititi's Kiwi film has an intriguing picture/storybook feel, introducing key sections of the plot with chapter cards and titles that makes the wilderness trials and tribulations of its protagonists have an enchanting vibe of journeying into the unknown. There's also an indescribably strange quirkiness to the material here, which further helps it segregate itself apart from so many other similar films on pure sentimental and melodramatic autopilot. The "bad egg" teenager in question in this film is Ricky (Julian Dennison, a remarkably natural find), an adolescent lad that's been in one too many foster care homes for his own good, which perhaps has a lot to do with the fact that he's a rule and law breaking delinquent. His care officer Paula (a very funny Rachel House) takes her job as seriously as a proverbial heart attack...maybe even more seriously. Her steadfast obsession with solving the adoption conundrum that is Ricky supersedes all of her other impulses and drives, which ironically - and most likely - figures into Ricky's apparent dislike of authority and his predilection towards getting into trouble of all kinds. He hates being re-gifted, so to speak, from family to family. Paula leaves Ricky early on in the film with a new set of foster parents in the semi-kooky Bella (Rima Te Wiata) and her "Crocodile Dundee" like husband Hec (played with a grizzled deadpan delight by Sam Neil, in never-been-better form). Early on, Ricky wants to have nothing to do with this pair, but very slowly and surely he begins to warm up to the mother, mostly because of he hyper honesty with the troubled youth. Unfortunately, Ricky is dealt with a huge blow just when he appears to be acclimatizing himself rather healthily to his new surroundings and parents: Bella suddenly dies, leaving Hec alone, and when word of this gets out to Paul and Child Services she deems the now widowed Hec unfit to fulfill his responsibilities as a new parent (not a bad decision, especially considering his petulantly crusty facade). Ricky will have none of this, of course, and decides to take his chances by running away into the wild and eking out a life there until he can plot his next move. Predictably, Ricky and Hec hook back up while in the bush, but when the latter accidentally injures himself very early on they both realize that they'll need to rely on the other to survive as well as keeping Ricky out of Child Custody's hands. Well, Paula will go down that easily, and an immediate manhunt is set-up to find Ricky and Hec, making them both overnight sensations on the national news. While Ricky writes haikus and Hec hunts, Paula desperately tries to use every resource she has in her back pocket to nab the pair dead or alive...actually...make that alive. My bad. A large part of HUNT FOR THE WILDERPEOPLE's offbeat appeal is the unique chemistry that Neil and Dennison have with one another on screen, which works wonders to erode a large chuck of the plot's obvious contrivances and reliance on formula. Neil himself is a finer actor than perhaps he ever gets credit for, and he truly makes Hec a loveably nasty outdoorsman with an inner heart of gold. It's also refreshing to see the actor perform in his native dialect, which he's not given ample opportunity to do in American productions. Then there's Dennison, a supremely gifted and authentic actor that doesn't seem to have all of those annoying and distracting young quirks that typify performers of his age. Ricky could have so easily been played as a one note bumbling buffoon in a lesser actor's hands, and Dennison certainly plays up to Ricky's frequently dimwitted naiveté. However, he also affords Ricky atypical sincerity and depth of feeling. You rarely feel like you're watching a teenage actor playing a teenager...you feel like Dennison simply is his character, which is a supreme testament to how finely attuned his work is here. There's not a single solitary dull moment to be had in all of HUNT FOR THE WILDERPEOPLE while Neil and Dennison occupy the same space on screen; they're comic gold dynamite together. The film finds humor in highly unusual circumstances, mostly stemming from the pair's rich dialogue exchanges at the most nonchalant of times (my favorite in the film occurs during a mini-argument between Ricky and Hec over whether the latter's choice of the word "majestical" to describe the natural beauty they find themselves in is in fact a real word or not). The film is also replete with the type of typical physical hijinks that one would expect from stories like this, but it's also tempered with some touching dramatic introspection relative to the notions of family and what it means to feel loved and wanted. HUNT FOR THE WILDERPEOPLE may come off as a capriciously zany comedy, but deep down it has heart has something sweet to say about how two polar opposites mature enough as people to help heal each other's respective emotional wounds. The adept manner that Waititi achieves this without succumbing to making his film feel too obtrusively saccharine shows him as a filmmaker of tact. HUNT FOR THE WILDERPEOPLE is also a beautifully shot film and one that pays rightful respect to photographing the lush serenity of its New Zealand wilderness. With its splendid performances, wondrous eye for environmental detail, and dexterous handling of its two main characters, I only wished that HUNT FOR THE WILDERPEOPLE didn't get so tonally messy as it progressed. There's an argument to be made that the film does become a bit too chaotic for its own good as it progresses towards its somewhat bonkers climax: There are times when Waititi doesn't seem to know what kind of film he's making - it's either going for pure comic absurdity, heart tugging drama, over-the-top action/violence, or a odd combination of all three. This leaves HUNT FOR THE WILDERPEOPLE having an increasingly disjointed vibe in the latter sections. However, the overall film is such an off-kilter and audience pleasing winner that it helps to erode most of its foibles. HUNT FOR THE WILDERPEOPLE may contain a plot that audiences members have trekked through before, but its made to feel like a new journey because of its offbeat esoteric styling and a commendable willingness to take chances. 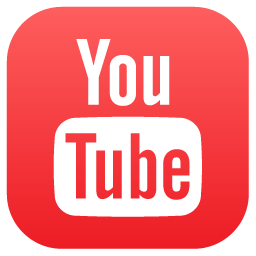 Not all of the chances work, but at least this is a film that's unafraid of taking them and goes for broke.